Oh Fall. Why are you such a beautiful time of year? Cinnamon, pumpkin everything (I have definitely already stressed how obsessed with pumpkin I am), bright orange and yellow leaves everywhere! It’s the best. If I were a dog…this is how happy I would be right now! This is my last Fall as a college student! CRAZY that I’m graduating in the Spring. I am definitely ready to be done (hellll-ooo senioritis), but it just feels so strange. I cannot wwwaaaaaiiiiittt to start the next chapter of my life, as I will FINALLY be going to culinary school. Way too excited for that! This semester is already flying by, and I’m oh so happy about all of the Fall fun. Baking with apples and cider make such a warm toasty feeling in the house. I was overcome with delight after pulling these guys out of the oven, they smelled exactly how Fall should. Warm, rich and full of cinnamon-wonder. If you can’t tell already, I love this time of year. It gives me an excuse to bake and cook with all of my favorite ingredients. This month’s Creative Cookie Exchange ingredient is anything apple, so I decided to give these guys a go. They aren’t as cider-y as I imagined, but they’re super tasty and definitely perfect for this time of year. In a small saucepan, bring the cider to a boil. 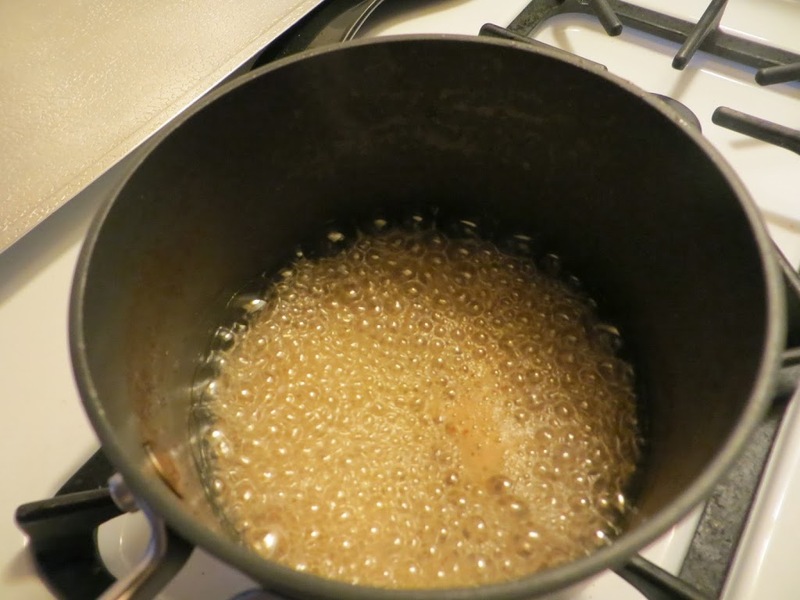 Allow to simmer for about 20 minutes, stirring occasionally with a wooden spoon until it reduces to about 3 tablespoons. It should be a little syrup-y. Let cool slightly. 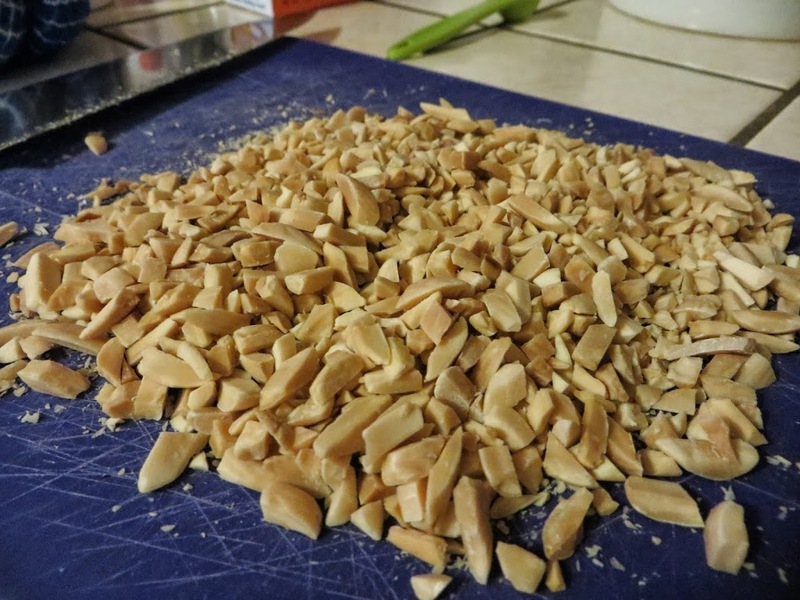 While the cider is reducing, toast your almonds. Spread them evenly on a baking sheet, and bake for about 10 minutes, checking on them occasionally to make sure they’re not getting too done. Turn the oven up to 400 degrees. Let them cool slightly before running a knife through them a few times. 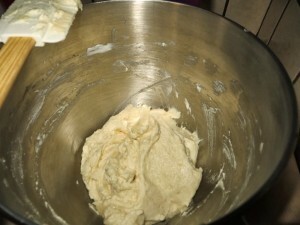 In a stand mixer, beat the cider, shortening, vanilla and eggs on medium-high until you have a fluffy creamy mixture. Then add the salt, baking soda and cream of tartar. Mix until combined. Then add the flour, and mix on low speed until it just comes together. Then add the almonds. 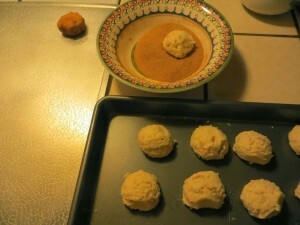 Prepare your cinnamon sugar mixture in a small bowl. 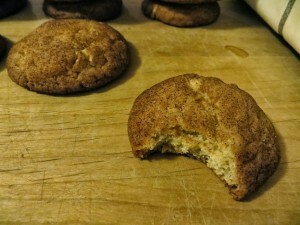 With the oven at 400 degrees, scoop out the cookie dough using a spoon or cookie scoop and roll in the cinnamon sugar mixture. Place on a cookie sheet, and bake for 8-10 minutes. There you have it. 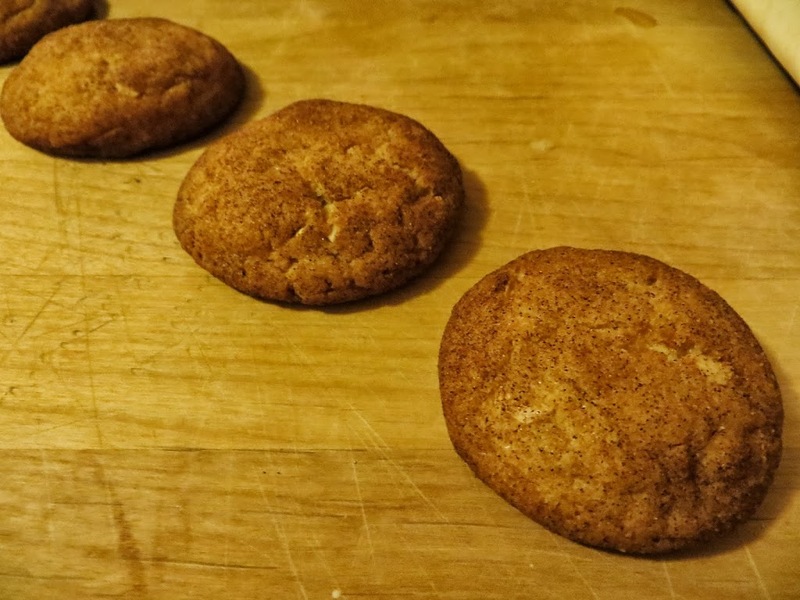 A fun spin on a classic cookie. 🙂 Now I just have to keep surviving the grind of school. Thanksgiving Break cannot come soon enough! 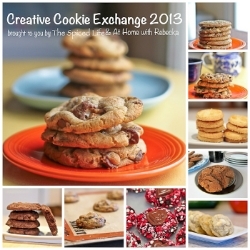 Wanna join the Creative Cookie Exchange fun? Did your doggy eat one of your cookies? 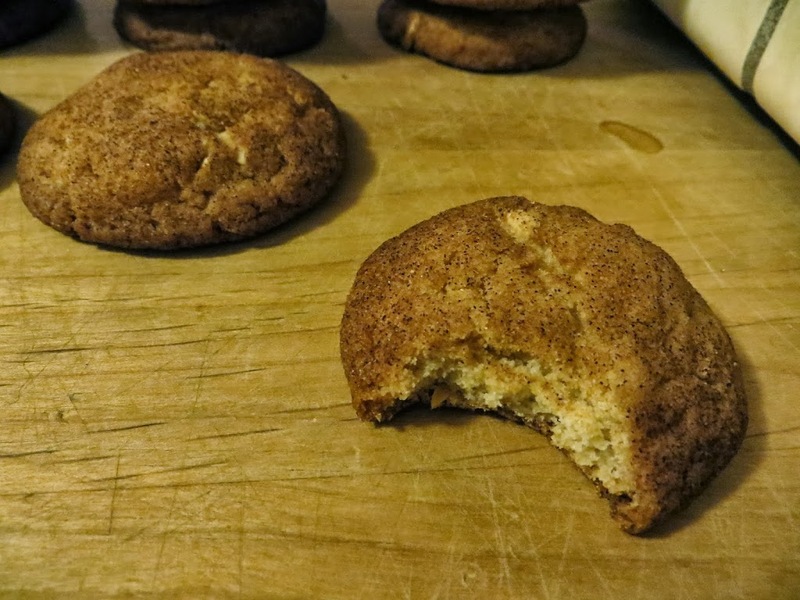 After eating one of your scrumptious snicker doodles, I think I could contently nap and forget about my cares, too =) Congratulations on your decision to go to culinary school Sophia. Hope time flies until graduation. Senioritis is a real thing! It’s been a veeeeery long time but I remember those days myself. Your lovely snickerdoodle cookie sure would have helped. Yep, it’s definitely a struggle! But I have a lot to look forward to! 🙂 Thanks for commenting! 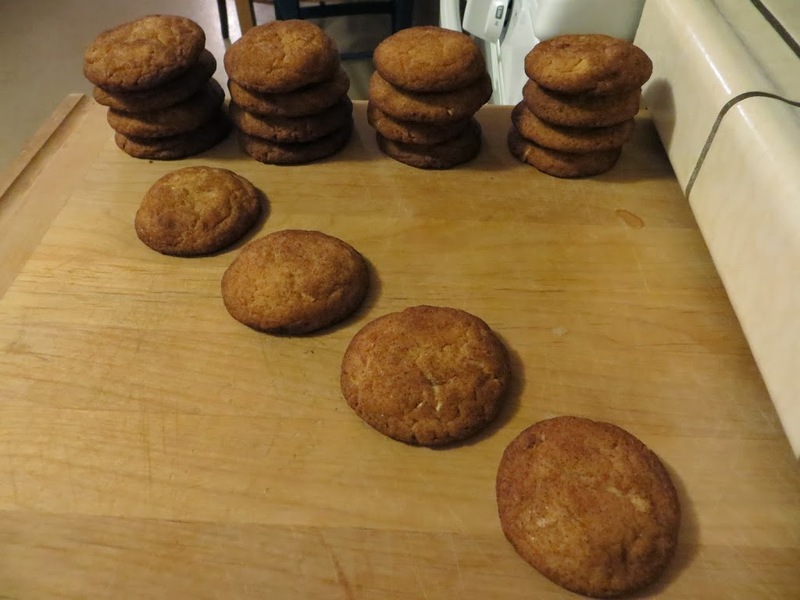 Your snickerdoodles look so scrumptious! I can’t wait to read all about your culinary school adventures! Thanks for co-hosting the Creative Cookie Exchange! My hounds love to lie down in the leaves too. They will even run and jump in a pile of them too. I could eat a dozen or so of your snickerdoodles. Something about apple and cinnamon just really does it for me. Thank you for commenting Renee! These cookies must have made the house smell good! Great choice for this month’s apple theme. 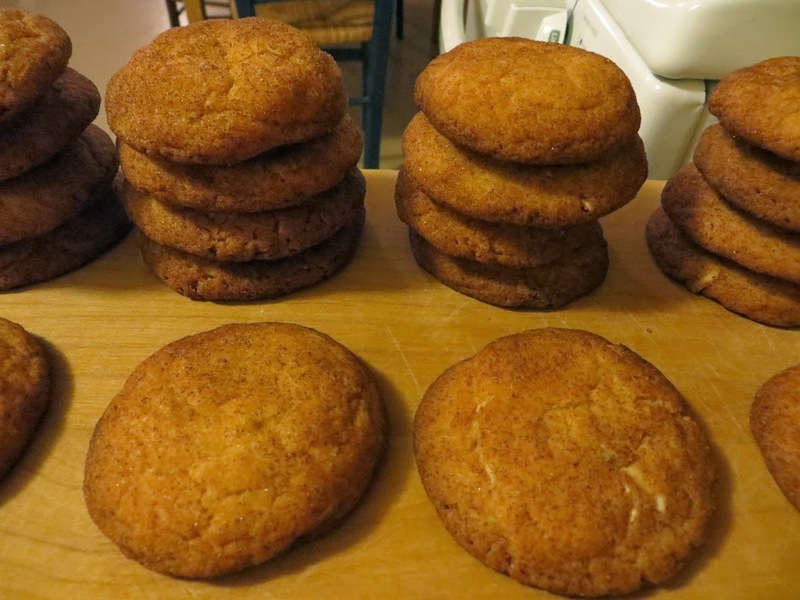 Snickerdoodles are simply INCREDIBLE on their own. Adding cider to them is a BRILLIANT idea! It is definitely my favorite time of the year too. Those fall leaves are just amazing, and your cookies are too. I am still waiting for apple cider to arrive here. but I’d love to try these. Thank you Felice! 🙂 Definitely give them a try! Very tasty! I really like the sound of these, we are heading for summer we could do with some cool weather with all these bush fires we are having. These look amazingggg, Sophia! 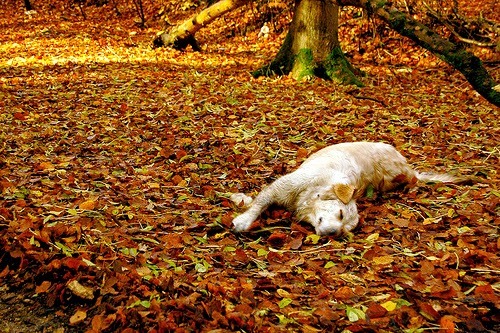 Fall is the very best. I’ll definitely give these a try. I love snickerdoodles and think they would be outstanding with apples and cider! Great choice!